The Jaguar F-TYPE knows how to perform. With its engines, all wheel driver, and other standard performance features, you’ll easily allow this model to catch your eye when it hits the road. The Jaguar F-TYPE comes with All Wheel Drive, which will help you easily navigate your Washington DC adventures, whether you stay on the beaten path or take the one less traveled. In addition, the All-Wheel Drive also features Intelligent Driveline Dynamics, which helps to provide balanced poise and more confident handling when its needed. The lightweight body structure allows the Jaguar F-TYPE to easily move through the Baltimore roads. IN addition, the strong chassis and rigid structure allow this vehicle to always provide the best handling, no matter how much your trip forces you to twist and turn. No matter how you like to explore Arnold, you can rest assured the Jaguar F-TYPE will let you experience it in the best way possible. This new model gives you the option of choosing between manual and automatic transmissions, so you can either be in control or experience a seamlessness you’ll love. When you want to hear an engine roar, you turn to the Jaguar F-TYPE. This new model includes a sport exhaust that powerfully roars every time you boost up the engine. In addition, the Active Sport Exhaust comes standard and improves the sound this vehicle makes when it’s ready to rumble. No matter if you opt for the coupe or convertible models, the F-TYPE gives you two engine choices to choose from. First, the 3.0L V6 engine offers impressive power and can go from 0-60 in only 5.5 seconds. This means you can easily explore more road in less time. In addition, you can also up your power to the 5.0L V8 engine. With this, you’ll go from 0-60 mph in only 3.9 seconds. So if you want to compete with the Flash for speed in Arnold, this model with these engine choices will do the trick. Torque Vectoring helps your vehicle perform on the road, and through the Torque Vectoring found on the Jaguar F-TYPE, you’ll explore better handling every time your vehicle hits the road. That’s because this feature better controls your wheels, giving your more control when you need it. The 2017 Jaguar F-TYPE brings more power to the road than you’ll know what to do with, no matter where you’re headed. Thanks to powerful engines and other performance features, you’ll enjoy what this vehicle offers. 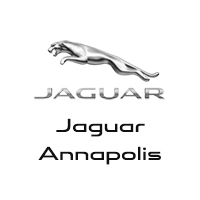 Visit our dealership today at 101 Ferguson Road in Annapolis today to see our vehicle inventory. You can also contact us online or call us at (410) 904-3107 to schedule a test drive or apply for financing.